We love to travel as a family and we make some fantastic memories while we are away. I'm someone that loves to keep a record of what we've been up to, so I thought that I'd share some crafts that you can do either by yourself or as a family to preserve those holiday memories. 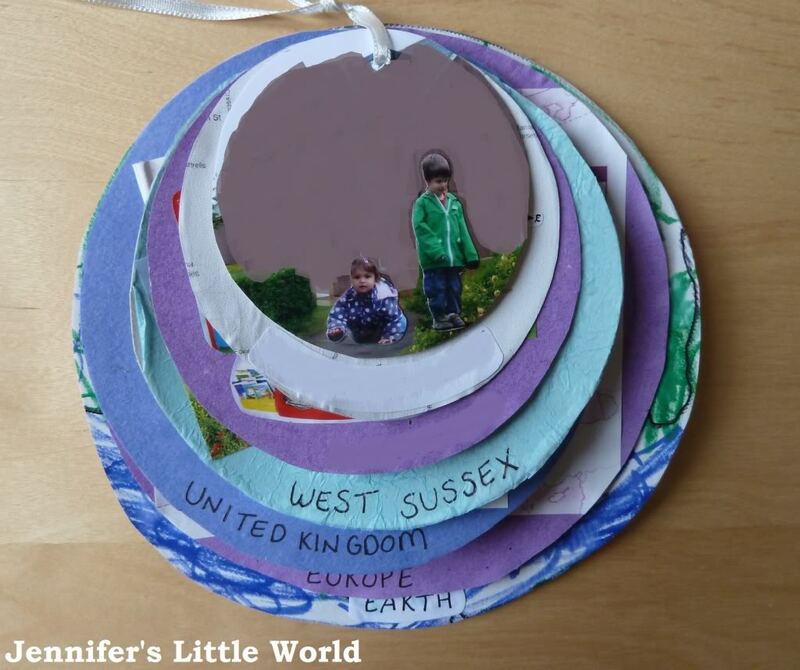 If you are planning to travel with your children, making a Me on the Map Book is a great way to introduce them to geography and their place in the world. The book is made up of a series of circles, starting with a small one to represent your child's house, then gradually increasing with street, town, county, country and so on. 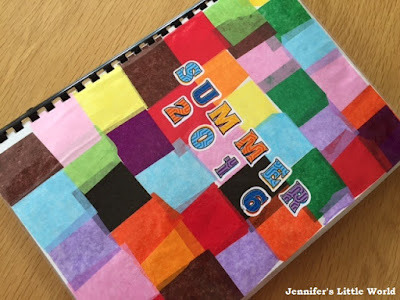 You can use photographs, drawings or maps to decorate each page. 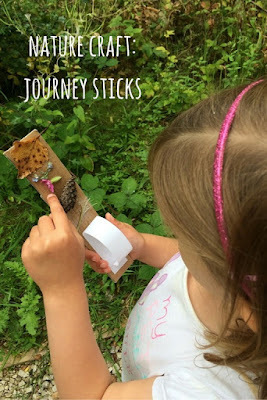 I've also shared lots of ideas for introducing maps to young children, to help them prepare for a trip away. Last summer we created a laminated holiday scrapbook chronicling our summer adventures. 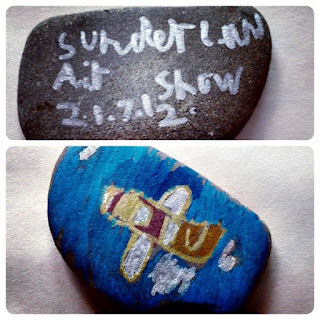 The book was a mixture of maps and leaflets, collage pages made by the children, diary entries and other mementoes like ticket stubs. We all worked really hard on it and it has become a lovely keepsake. 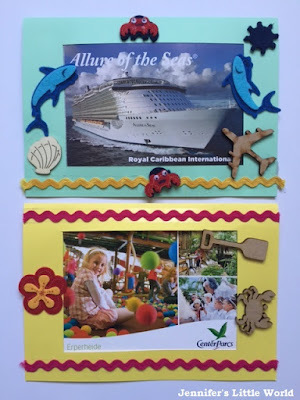 In previous years I've also encouraged the children to make a holiday scrapbook and I've written a few tips here - making a holiday scrapbook with young children. It's a lovely record for them to have to look back on, and perhaps take into school to share with their teacher and friends. Mum in the Madhouse has made Memory Stones - a collection of stones which have been decorated with pictures and notes to represent each memory and can be kept on display in a glass jar. Growing Family collected memories of a country walk on a Journey Stick which features items that were gathered on a nature walk. I've been making my own holiday scrapbooks for years, although this blog has taken over that now! I do stick things into my smash book, which is another very simple yet effective way of keeping and displaying the little mementos that you collect on holiday. If you have a particularly special souvenir like a postcard or a photograph you can easily make a simple frame so that you can keep it on display. 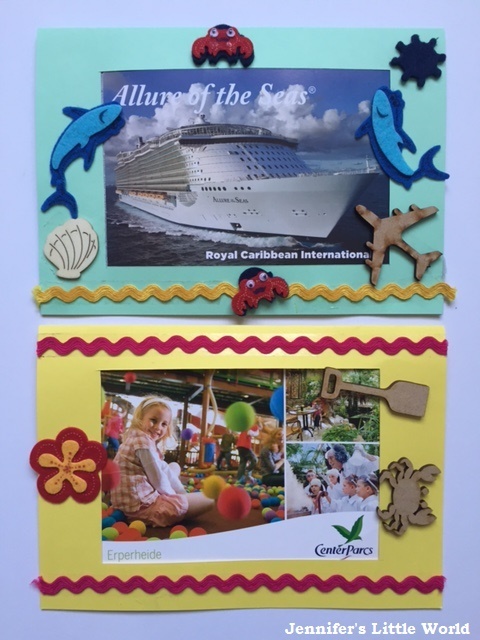 The children made these postcard frames to showcase postcards that they had bought while we were away. 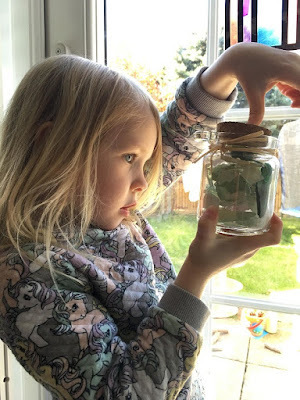 Finally, a fun way to remember a beach holiday is to make a Seaside in a Jar like this one from Me and My Shadow - a lovely way to display treasures collected on the beach. My favourite thing to bring back from holiday is shells. I love how different beaches have different types of shells on them. The shells on our local beach aren't very interesting (although perhaps they are to a tourist!) but I've collected some lovely ones from our various holidays. 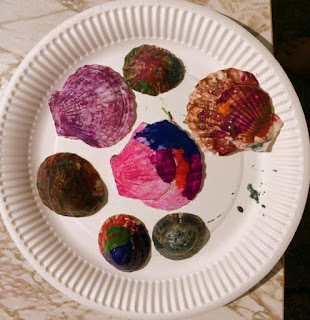 Red Ted Art has some lovely ideas for crafts using shells. 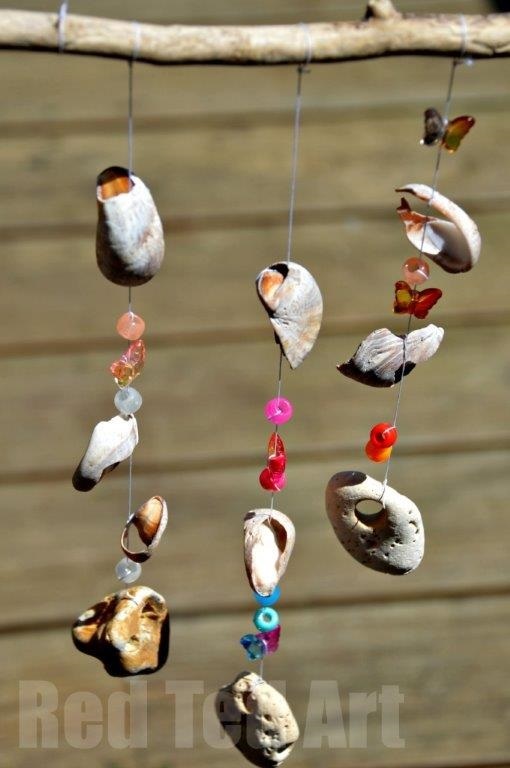 For example this Shell Windchime which makes a lovely decoration for the garden. 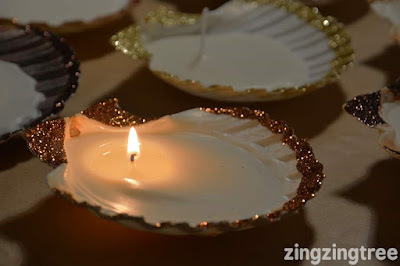 If you have some larger shells, Zing Zing Tree has shared how you can turn them into Glitter Seashell Candles, which can hold enough wax to burn for several hours. Another way to display your shells is to make some Clay Beach Ornaments like Monkey and Mouse, a lovely craft which you can also do while you are still at the beach. Finally, decorating shells that you have collected is a lot of fun, like these Painted Shells from Chococolate and Wine and I'll be Fine. I also love hunting for sea glass, although that's a lot more difficult to find. 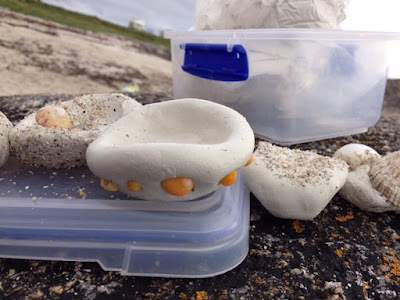 My sea glass hotspot so far has been Barcelona beach where I gathered a lovely haul! I love this Sea Glass Suncatcher Ornament from The Gingerbread House, perfect for showing off all the different colours of glass that you can find. I hope that you found some inspiration here for remembering and sharing those special times!